Friday night, after cutting out the cardboard bases, still deep in defeat Watson went home and then to the theatre. Saturday morning, February 28, he came in, cleared a place to work, got out his cardboard cutouts. Watson stumbled into this part of the solution visually, from a shape, a representation, and that had happened several times before; that is the way his mind works. Note two of the four kinds of bases have the same contour. Watson found that the purine adenine, a fused double ring with other atoms fringing it at several points, could form two hydrogen bonds with the pyrimidine thymine, a single ring, when he placed the two cutouts side by side in the right way. The bond were the correct length, and were straight lines, N—H--O or N--H—N, as Pauling's model-building precepts required. Guanine and cytosine made hydrogen bonds the same way. The pairing could not be switched, however, for then the various atoms around the fringes got in each other's way. But when an A-T pair was laid on top of a G-C pair, the two compound shapes were exactly congruent. Such pairs could fit inside the backbones without bulges or pinches. Donahue said these pairs agreed with what he knew. Crick, when he came in, immediately pointed out that the way the bases in these pairs would attach to their sugars meant that the two backbones ran in opposite directions, just as they had to do. Each chain could include both purines and pyrimidines, with pairs flipped over. That satisfied the dyadic symmetry. Chargaff's ratios were satisfied, too. The bases could appear in any order on one chain. Once that order was fixed, though, the base pairing, guanine always with cytosine and adenine with thymine, determined a complementary order on the opposite chain. 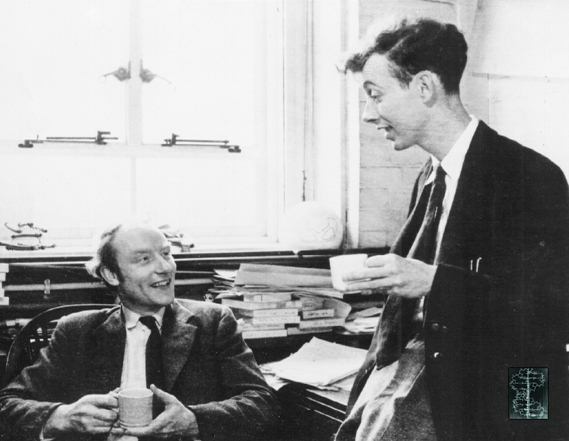 That morning, Watson and Crick knew, although still in mind only, the entire structure: it had emerged from the shadow of billions of years, absolute and simple, and was seen and understood for the first time. Twenty angstrom units in diameter, seventy-none billionths of an inch. Two chains twinning coaxially, clockwise, one up the other down, a complete turn the screw in 34 angstroms. The bases flat in their pairs in the middle, 3.4 angstroms and a tenth of a revolution separating a pair from the one above or below. The chains held by the pairing closer to each other around the circumference one way than the other, by an eighth of a turn, one groove up the outside narrow, the other wide. A melody for the eye of the intellect, not a note wasted. In itself, physically, structure carried the means of replication—positive to negative, complementary. As the strands unwound, at double template was there in the base pairing, so that only complementary nucleotides could form bonds and drop into place as the daughter strands grew. ... one doubts, of course, that Crick and Watson altogether realized, that morning, what they had seen. "We have discovered the secret of life," Crick told everyone within earshot over drinks that noon at the Eagle. It was not the entire secret of life, yet truly for the first time at the ultimate biological level structure had become one with function, the antimony dialectically resolved. The structure of DNA is flawlessly beautiful. 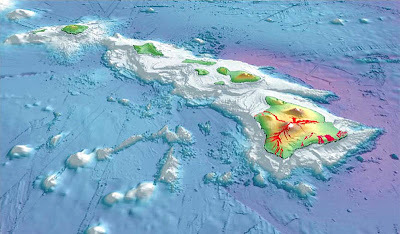 The Big Island (Hawaii) is one giant pile of lava from five different volcanoes. 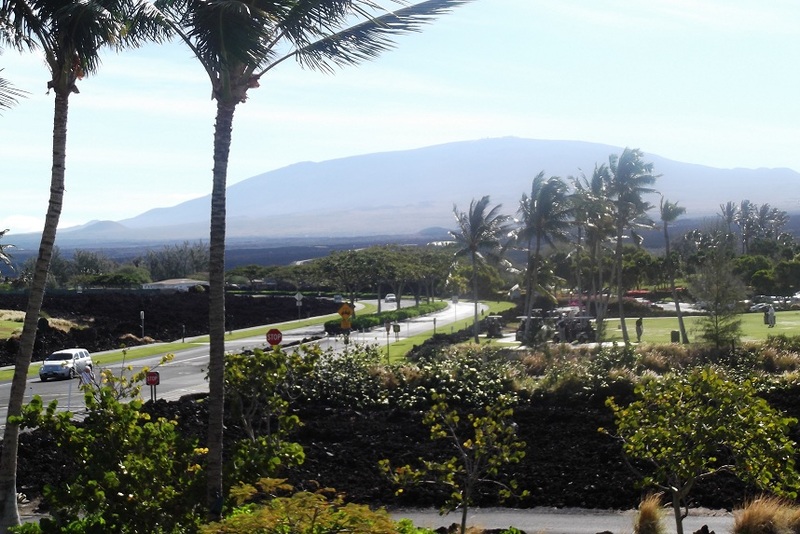 The large one, slightly below center in the photo, is Mauna Loa and it is still an active volcano. 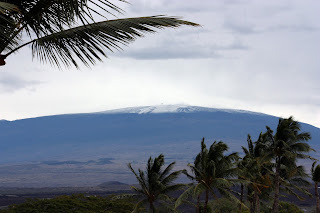 You can see streaks of old lava flows spreading out from the summit. Mauna Kea, the slightly higher volcano above center, is now dormant.1 The active volcano that tourist visit is Kilauea, below and to the right on Mauna Lao. 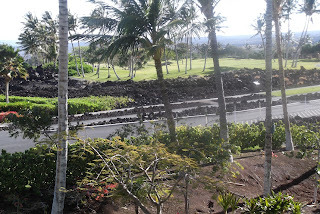 We are staying at the Hilton resort in Waikaloa. 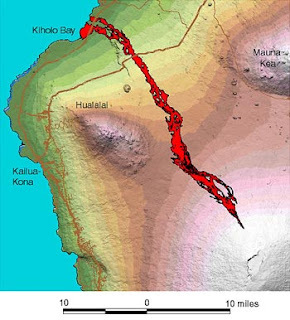 It is built on the lava flow from 1859 where it spilled into Kiholo bay [The 1859 eruption of Mauna Loa and its human impact]. This is the dry side of the island and the surrounding area is very desert-like. As you can see from the photo I took (below), the resort area is not desert at all. That lush vegetation requires constant watering. (I don't know were the water comes from.) You can also see the parts of the lava flow that have not been transformed. It's very impressive to see it up close. [Hat Tip: Ms. Sandwalk took the photos of snow-capped Mauna Loa with her telephoto lens. 1. 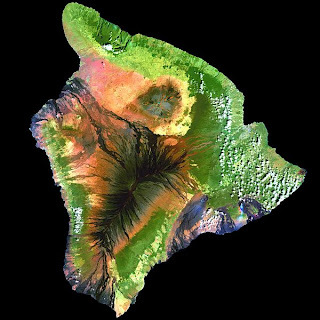 That's where the Hawaiian observatories are located. 2. Liberia and Burma are the other two countries that aren't metric. I took a few more photos of the beach while we were strolling along the path behind the beach. It was a beautiful day with temperatures hovering around 28°. 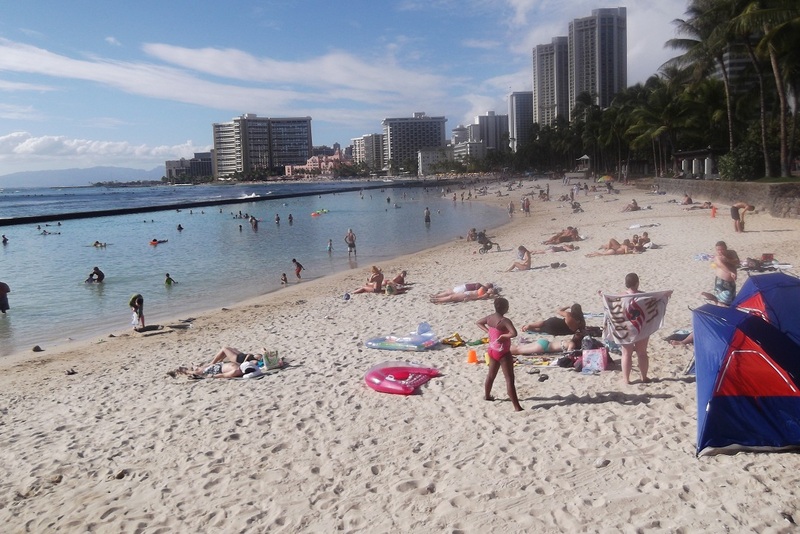 We stayed in a hotel a few blocks away 'cause we couldn't afford the big hotels that were right on the beach. 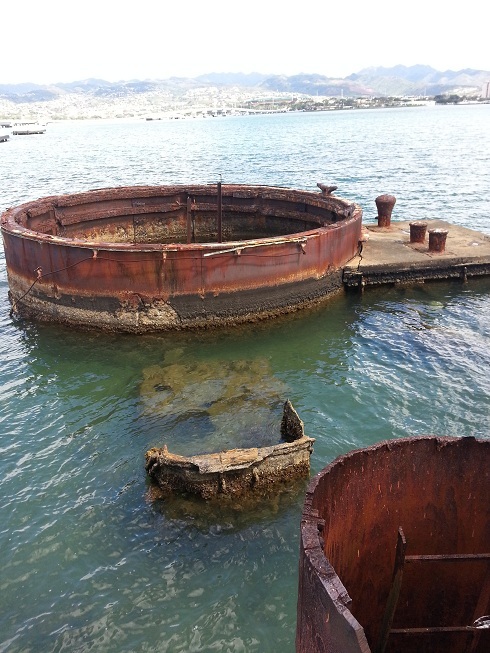 The USS Arizona (BB-39) is an American battleship built during World War I. It was modernized and upgraded in 1930. The Arizona was hit by a Japanese bomb during the attack on Pearl Harbor on Dec. 7, 1941. The magazine in her forward turret exploded and the ship sank within minutes. 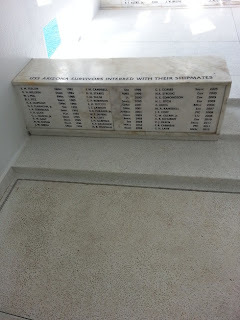 The explosion killed 1,177 of her crew. 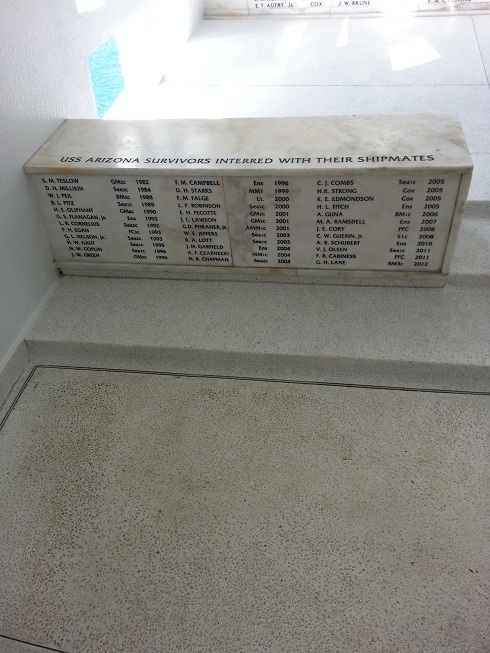 The ship was not salvageable, unlike most of the other ships sunk on that day. 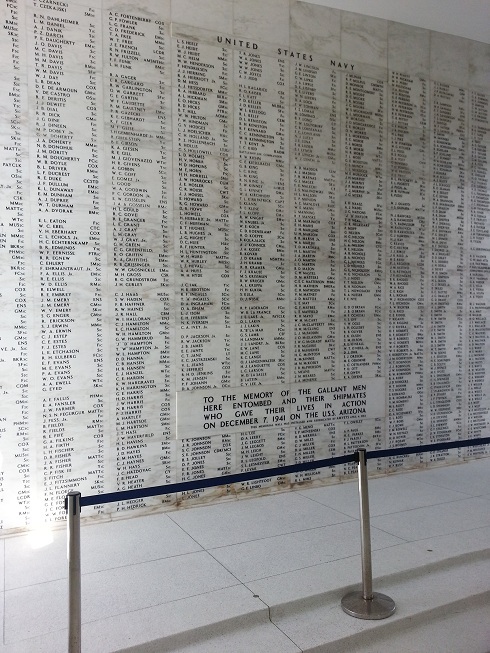 The USS Arizona Memorial was built over the remains of the ship to honor the men who died in the attack. 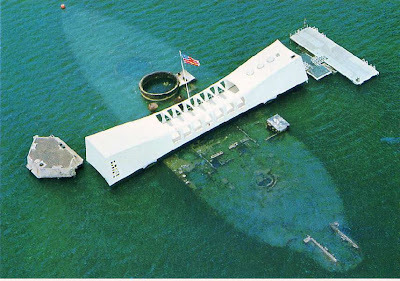 Here's an aerial view of the memorial. 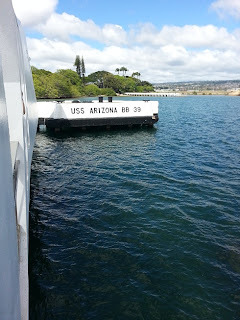 We visited the USS Arizona Memorial on Thursday Feb. 14, 2013 and I've included some of my photos. Click to enlarge, especially the last two photos. 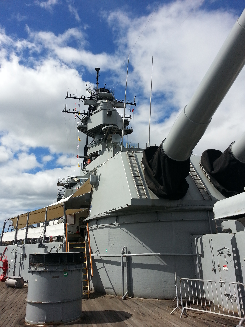 The USS Missouri is an American battleship commissioned in June 1944, toward the end of World War II. It served as the flagship of the American Third Fleet under Admiral William F. Halsey, Jr. 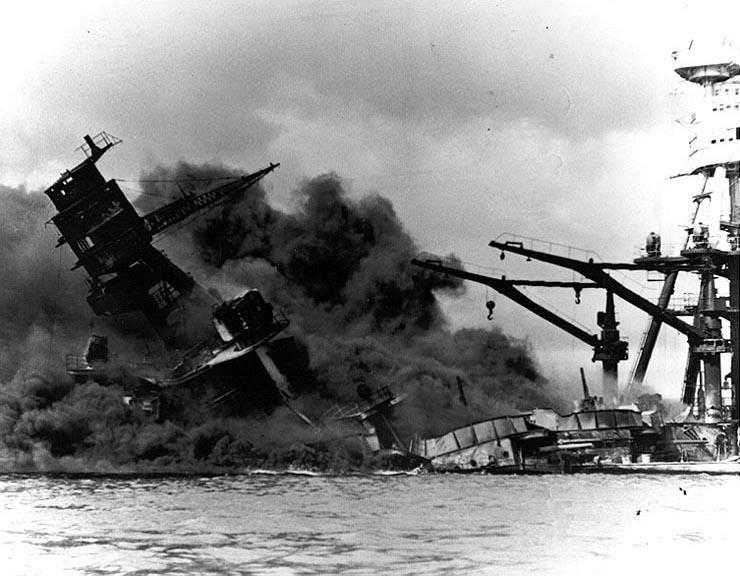 In early August 1945, the Missouri was bombarding installations on the coast of Japan when the atomic bombs were dropped. 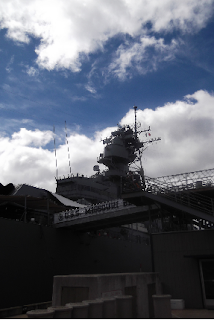 On September 2, 1945 the Missouri was docked in Tokyo harbor. Japanese representatives signed the surrender documents that formally ended World War II. 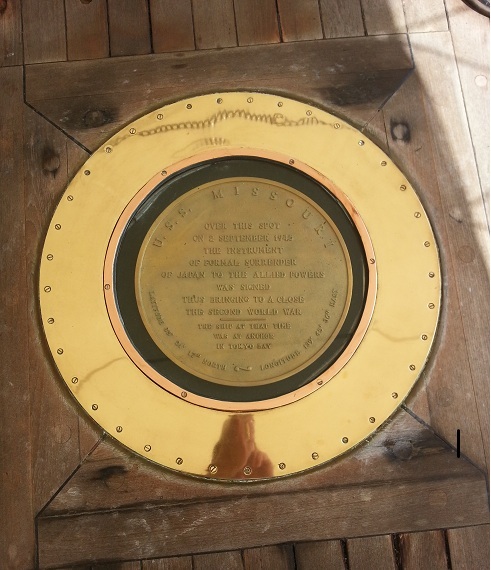 The brass disk (below) is the site where the signing took place. On Thursday (Feb. 14, 2013) we visited the Battleship Missouri Memorial in Pearl Harbor, Hawaii. I think it's important to sample the local customs whenever you travel. 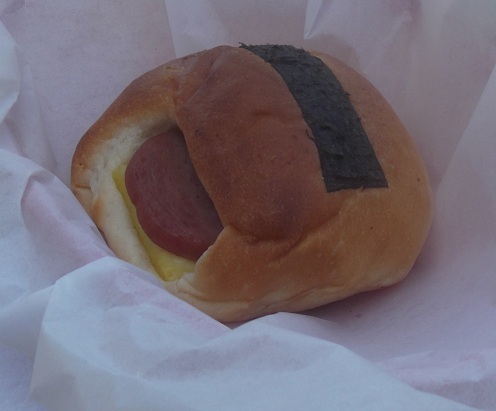 In this case, I'm on a mission to experience genuine Hawaiian cuisine. 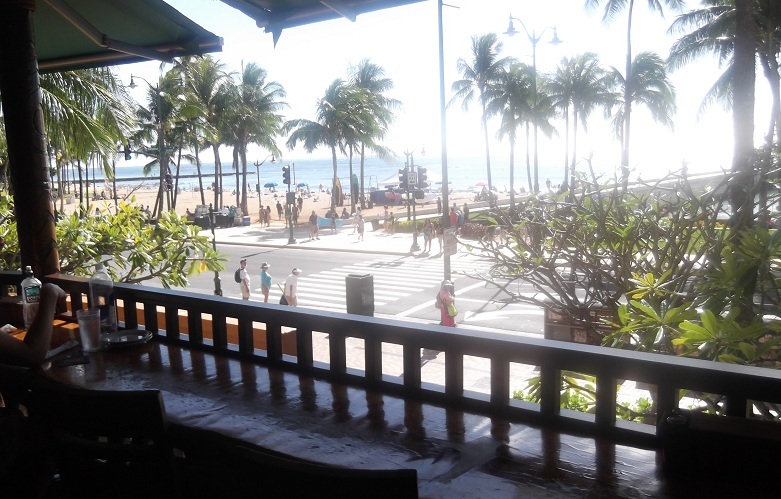 We began on the first full day of our visit with a delicious spam & egg bun at a small cafe in Honolulu near the beach at Waikiki. The spam had just the right flavor (I thing it was genuine Hormel spam, probably made in the USA.) I actually prefer Prem but it's much hared to find. We're leaving tomorrow to visit a place I've never been. I'm really looking forward to it, especially the "red bits" in the image. I may be too "busy" to post much in the next two weeks. PZ Myers wants to write a serious post about evolutionary psychology but he can't. Why not? Here's what he said on Kate Clancy tackles Evolutionary Psychology. I’ve still got plans to post more on this subject, but an unfortunate event has blocked me. 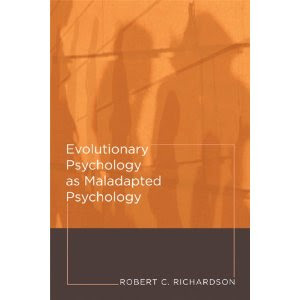 I was going to make my next post on evolutionary psychology one that focused on some of the papers, and in particular, I wanted to discuss a good paper or two, so that I could start off on the right tone. And people sent me links and papers. Only problem: they were all awful. Every one. I couldn’t believe that even these papers that some people were telling me were the best of the bunch were so lacking in rigor and so rife with unjustified assumptions. I read through about a dozen before I gave up in disgust and decided that there were better things to do in my time. I’d ask again, but I was burned so badly on that last go-round that I’d have a jaundiced view of any recommendation now. I understand his pain. I've often asked for good examples of evolutionary psychology and gotten nothing but garbage. For example, an evolutionary psychologist named Gad Saad once sent me a list of The Great, Profound, and Valuable Works of Evolutionary Psychology. At some point we have to question the value of an entire field if it can't come up with even a handful of high quality papers. I don't know where this clip comes from or when it was made but it's being promoted on YouTube as "Dr. Craig Venter Denies Common Descent in front of Richard Dawkins!" The link was posted by someone in a comment to a previous post on Sandwalk. Everything that Ventor says is correct. He didn't need to quibble about the universality of the genetic code but it's true that there are variants. His point about the tree of life is correct, especially in a discussion about the origin of life. It's unfortunate that Richard Dawkins repeatedly makes such an issue about the tree of life because he's on shakey ground when he does that. I assume that Dawkins hasn't studied the problem. However, he's in good company since most scientists don't understand the problems with the early tree of life. The early history of life looks more like a bush with many interconnecting branches due to horizontal gene transfer [The Tree of Life]. Here's a video of the complete debate. The relevant part, according to the creationists, begins at 9 mins. A new book has just been published. 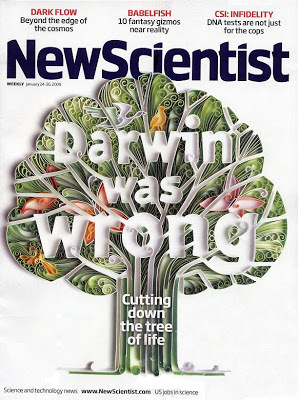 The title is "Darwin's Dead Idea and the Man Who Helped Kill It." Here's the description on Amazon. "Darwin’s Dead Idea and the Man Who Helped Kill It" makes for highly engaging reading. Witness the fascinating journey of a smart, inquisitive adolescent rejecting his school’s ask-no-questions religious indoctrination into a mathematician, philosopher, and scientist of the highest order, one who today is powerfully and persuasively challenging academia’s reigning answer to the questions that haunt us all: Where did we come from? Why is there something rather than nothing? A leading spokesman for the scientific theory that is shattering materialist assumptions about reality and the origin of life, Dr. William Dembski responds to probing questions from James Barham, general editor of TheBestSchools.org. That interview forms the core of DDI. Dembski’s forthright and humbly restrained responses reveal the courage, perseverance, and original thinking that have made him a lightning rod in the scientific community. 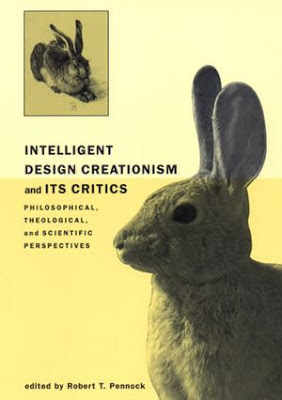 The heated controversy surrounding intelligent design theory dramatically confirms Machiavelli’s observation that there is nothing more difficult to carry out nor more doubtful of success, nor more dangerous to handle, than to initiate a new order of things. DDI introduces readers to one of the stellar lights of the new order of things now emerging on the horizon. Why Do University Press Releases Continue to Spread Misinformation? There's a very interesting paper that's just been published online in ScienceExpress. The work is by Haung et al. (2013) from the Broad Institute at Harvard and MIT (Boston, Massachusetts, USA). These workers looked at the genomes of 70 different malignant melanomas and discovered that fifty (50) of them had mutations in the promoter region of the gene TERT (telomerase reverse transcriptase). The mutations created a new binding site for transcription factors resulting in a 2-4 fold increase in transcription of the gene. Here's a picture of the gene from the Ensembl website [TERT]. The position of the transcription start site (P) is shown and the approximate position of the two mutations (M) is just upstream. It's good that mutations affecting melanomas have been identified but the result isn't totally unexpected. We've known for fifty years that mutations in the promoter regions of genes can affect expression. Even in humans, such mutations have been widely studied; for example, lactase persistence is due to mutations in enhancer regions of the lactase gene. "This new finding represents an initial foray into the 'dark matter' of the cancer genome," said Levi Garraway, senior associate member of the Broad, and associate professor of medicine at Dana-Farber, the article’s senior author. WTF! Since when have promoters and enhancers been called "dark matter"? And why isn't it mentioned, or even hinted at, in the published paper? Only about 1% of the human genome provides the blueprint for the body’s proteins. The remaining "non-coding" portion of the genome, sometimes referred to as dark matter, is poorly understood. Scientists have only recently begun exploring the relationship between these regions and the body’s cellular structure and processes. We have an excellent understanding of the human genome [What's in Your Genome?]. This press release implies that only 1% of the genome is understood and the rest is mysterous "dark matter." We've known for decades that most of this DNA is junk (defective transposons). We know about pseudogenes, genes that encode functional RNAs, regulatory regions (including enhancers), introns, centromeres, defective viruses, telomeres, origins of replication, and several other functional parts of the genome. I don't believe that the senior author of this study, Levi Garraway, actually believes what he is quoted as saying. If it were true then why didn't he put it in the paper? Why is there nothing in the paper about the importance of revealing mysterious "dark matter"? Why do press releases have to be so misleading? This is for all of you who really miss Saturday morning cartoons. It's from a post by David Klinghoffer who is upset about the way some people are treating Thomas Nagel [New York Times on Thomas Nagel's "Dangerous Sympathy for Intelligent Design"]. One of the take-aways here is not only the progress ID is making in scientific and general culture, but specifically among liberal thinkers. That makes it a lot harder to pigeonhole us in time-honored Darwinian fashion as right-wing Christian fundamentalists, creationists and the like. This may be the chief source of outrage from the Darwin community. Deprived of that old crutch, these guys will be forced to argue with us and explain in detail why ID, not creationism yet again, is wrong. Of course that's something that most have stubbornly, and tellingly, refused to do. I have been arguing with these IDiots for over twenty years. They stubbornly, and tellingly, refuse to listen. Isn't that strange? Coming Soon to a Theater Near You - "The Unbelievers"
I wonder if Richard Dawkins and/or Lawrence Krauss will win an Academy Award? PZ Myers posted an article last week that was part of an ongoing discussion about the role of atheism in the skepticism movement. The title of his post was: Atheists are skeptics. I covered that debate in an earlier post [Skeptics Must Be Atheists]. Now I want to discuss whether all atheists must be skeptics. The answer is "no." Atheists are people who don't believe in any god(s). There are millions of atheists all around the world who have grown up without any belief in god(s). Their parents didn't believe, their grandparents didn't believe, and they live in a secular culture. Many of these atheists are taken in my homeopathy, fear of GMOs, and various conspiracy theories. They aren't critical thinkers and they aren't skeptics. Let's not fall into the trap of assuming that all atheists have grown up as believers and have recently lost their faith. That's just not accurate. The skeptic movement has been in a bit of a turmoil over the past few years. One of the problems concerns the role of atheism in the movement. Many people think that outspoken criticism of religion (i.e. Gnu Atheism) is not a necessary part of skepticism. I agree—just as you don't have to be an outspoken critic of chiropractors to be a skeptic. However, that doesn't mean that belief in god(s), or belief in the grandiose claims of chiropractors, is compatible with skepticism. They aren't. Joshua Schimel blogs at Writing Science. His latest post recommends that we stop ending our talks with a boring slide that lists all funding sources and everyone who may have contributed to the project [Why do people blow the punchline in scientific talks? The destructive effect of acknowledgements slides]. I never thought about this before. He makes a good point. Scientific societies are made up of groups of scientists who band together for various legitimate purposes such as organizing meetings, publishing journals, promoting their speciality, and lobbying for funds. The credibility of a society depends on its area of expertise. They lose credibility when they take positions on issues outside of their discipline. That's why many of us have been opposed to the accommodationist positions of the American Association for the Advancement of Science (AAAS) and other societies. These societies have no special expertise in epistemology/philosophy or religion yet they openly proclaim that science and religion are compatible. They should be neutral on that question. A (slight) majority of Sandwalk readers agree, according to a poll I took a few years ago [What Should Scientific Organizations Say about Religion?]. I wasn't alone in adopting this position. Jerry Coyne and PZ Myers also think that scientific societies should keep their nose out of areas that are outside of their mandate. We are united when it comes to opposing accommodationism. Here's the video of last week's debate at the Cambridge Union debating society. The main event pitted Richard Dawkins against Rowan Williams, former Archbishop of Canterbury. The motion was that "This House Believes Religion Has No Place In The 21st Century." At the end of the debate a majority decided that religions does, indeed, have a place in the 21st century. Jonathan Wells has just been named to the Encyclopedia of American Loons: #409: Jonathan Wells. He joins another Discovery Institute Fellow, #411 John West. Appallingly inane crackpot, infuriatingly dense, and reprehensibly dishonest, Wells’s lack of insight and inability to even pretend to begin to understand anything before he starts criticizing it based on personal dislike, is of almost epic proportions. Yet he continues to be shockingly influential. Less than ideally honest chucklehead, and a prime case of every strand of cognitive bias channeled into a single-minded force of rage against reality. West should not be underestimated, however, as he has made serious contribution to undermining science and education. WARNING: YOUR VALENTINE'S DAY TREATS MAY BE FILLED WITH GMOS - Support science by buying them right away before they are banned. I received this email message today from Leslie Maloy, (lmaloy@hastingsgroup.com). It's stupid. It's an example of scientific illiteracy. There's no chance than food from genetically modified crops will do you any harm. You may want to oppose GMO crops for other reasons but to pretend that GMO crops will endanger your health is a lie. 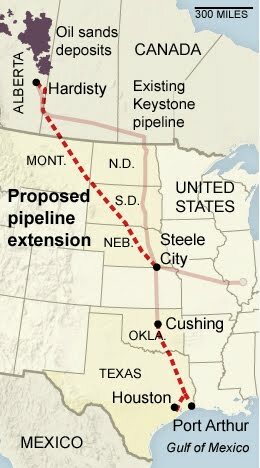 It's stuff like this that's giving the environmental movement a bad reputation. Their anti-science positions are losing them support from the scientific community. National Coalition Calls on Hershey and Mars to Label GMOs in Chocolates, Other Candy . Or Get Them Out Completely. Washington DC -- February 7, 2013 -- What will you get your loved one this Valentine's Day? If genetically modified organisms (GMOs) in chocolates are not on your shopping list, you will want to know about GMO Inside's new push to get the nation's largest candy manufacturers-Hershey and Mars-to break up with GMOs in 2013. GMO Inside, a campaign dedicated to advancing the right of consumers to know whether or not foods are genetically engineered, is calling on Hershey and Mars to either stop putting GMOs in Valentines candy and other products . or to start labeling the products as containing GMOs. Hershey and Mars combined comprise nearly 70 percent of the U.S. chocolate market. The two companies are not shy about their love affair with GMOs; together they spent more than a million dollars to oppose GMO labeling in California in the November 2012 election. Hershey is reported to have spent $518,900 to defeat Prop 37 and Mars spent $498,350. The reason these companies oppose GMO labeling so strongly is due to the fact that GMO ingredients are in their sweets; a label would surely make a consumer think twice about eating their favorite candy bar. Genetically modified organisms have never been proven safe for consumption, and a growing body of studies is raising concerns around the health effects of eating them. GMOs are also increasing the use of toxic herbicides and causing harm to farmers in the US and abroad. In Europe, where genetically modified ingredients are already required to be labeled, Hershey and Mars have adapted their recipes to formulate Kisses and M&Ms without GMOs. According to Confectionery News, Hershey products made for distribution in Europe will be formulated without GMO ingredients, in order to meet the requirements of major retailers which ban the sale of products with genetically modified ingredients and to satisfy increasing consumer concern about the safety of GMOs. "Unless you can buy Hershey or Mars products in Europe, there is a high chance you could be giving your Valentine a treat with GMOs that endanger their health and the environment," said GMO Inside Campaign Director Elizabeth O'Connell, "To be safe, you should choose organic certified or Non-GMO Project Verified chocolate to show the loved ones in your life you really care." Beyond the issue of GMOs, Hershey also has problems with child labor in the cocoa it sources. Though the company committed to certify its supply chain as 100 percent sustainable in October of 2012, there has been no further information about how the company plans to deliver on its promise to remove forced child labor from its supply chain over the next seven years. "Consumers have a choice -- there is delicious chocolate from companies that are organic or verified through the Non-GMO Project, said Alisa Gravitz, president of Green America. "And you can make it doubly sweet by also looking for fair trade options. You'll be showing your sweetheart you care in every way. Refuse to buy GMO-laden chocolate this Valentine's Day." Climate change has been very good to Toronto because the increase in temperature during the winter is just enough to avoid snow. In the past decade we've had several winters where I hardly ever had to shovel. That's all about to change. 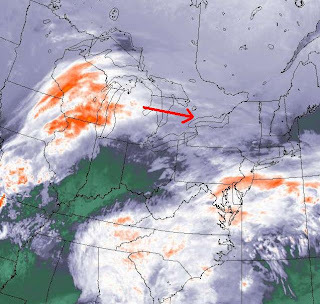 Tomorrow we're going to get hit with a big storm that's supposed to dump about 25 cm of snow. It's another one of those situations where bad things come from our neighbor to the south. The city can cope—this is, after all, Canada—but it's probably not going to be a pleasant day. I'm planning to declare a personal snow day and stay home. That means I won't be able to attend our meeting tomorrow evening [see, Join Us on Friday to Discuss "Thoughts on Science: Evolution versus Intelligent Design (Part I of an indefinite number of parts)"]. Check the Facebook page [Thoughts on Science 2: Evolution VS. 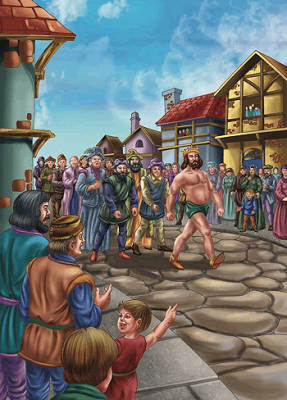 Intelligent Design (Part I of an indefinite number of parts)] to see if Rufina is going to cancel the event. Dawkins vs Lennox: Has Science Buried God? Professor Richard Dawkins debated Professor John Lennox at Oxford University. This is an old debate from about five years ago. I find it very frustrating because both sides frequently drift off-message. All of the arguments from Lennox seem to be of two sorts: (1) the argument from personal incredulity, or (2) the argument from personal satisfaction (i.e. I believe in god(s) because it makes me feel good). I don't think Dawkins does a good enough job of ignoring or discounting these arguments. They are irrational and deserve no place in debates like this. Dawkins does say, on several occasions, that just because a belief makes you feel good doesn't mean that it's true. He should have kept on saying that, and nothing else, every time Lennox brought it up. Do You Want to Go to a Conference? There's a conference in April called the Westminster Conference on Science and Faith. It takes place in a church in Philadelphia. Here's the trailer. How many of you just can't wait to register? 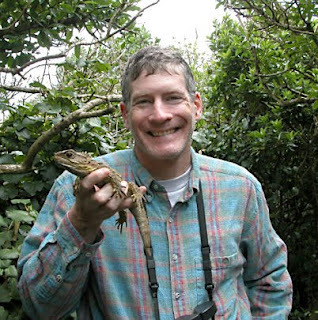 The Department of Ecology & Evolutionary Biology and the Royal Ontario Museum present the Annual Darwin Lecture: Darwin, Lizards, and Evolutionary Biology in the 21st Century. The speaker is Jonathan Losos and the lecture takes place tomorrow, Thursday, February 7, 2013 in the Earth Science Centre Auditorium, Room 1050, at 8pm. Brief Description: Modern day evolutionary biologists combine DNA studies with field experiments that can detect Darwinian evolution in real time. Lizards are an ideal subject for such research. 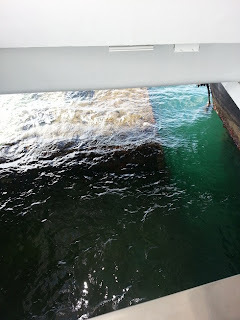 This is just a little blog. It's taken me more than six years to reach five million pageviews. The big guns get that many every month. I challenge all theists and all their accommodationist friends to post their very best 21st century, sophisticated (or not), arguments for the existence of God. They can put them in the comments section of this posting, or on any of the other atheist blogs, or on their own blogs and websites. Just send me the link. I've been getting Chinese food (Canadian style) at the Golden Palace restaurant for over fifty years. The restaurant is on Carling Avenue in Ottawa (Ontario, Canada) in the neighborhood where I grew up. I've taken many friends to the restaurant and recommended it to visitors. 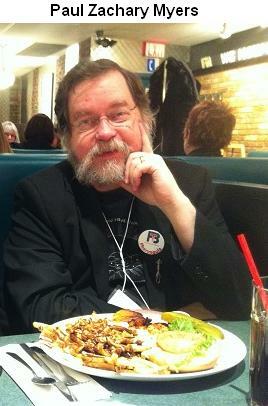 Recently the talk.origins moderator, Dave Greig, sampled the food and pronounced it tolerable. More recently, I brought lots of food to the hotel at Eschaton 2012 and treated PZ Myers, Veronica Abbas, Chris DiCarlo, and Ophelia Benson. They all liked the egg rolls. Everyone likes Golden Palace egg rolls. The new, 3rd generation, owner, Bill Kwong is a friend of my cousin. Bill has kept all of the traditional servings at the restaurant (you don't mess with success). 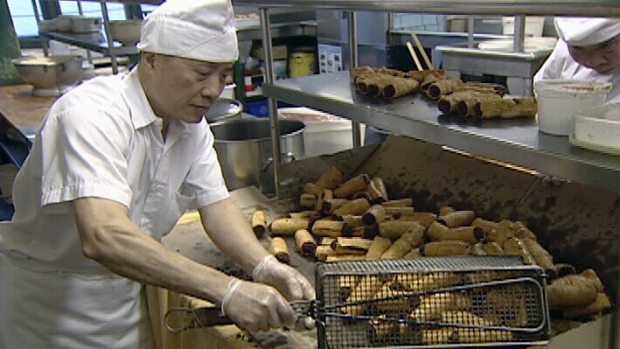 But he's done one thing that the previous owners never did—he's selling Golden Palace egg rolls at hockey games! Check out the TV report to see how the egg rolls are made: Golden Palace egg rolls score big at Scotiabank Place. UPDATE: Ms. Sandwalk recounts how we used to get our egg rolls 50 years ago [Golden Palace egg rolls]. Andrew MacRae used to be very active on talk.origins. 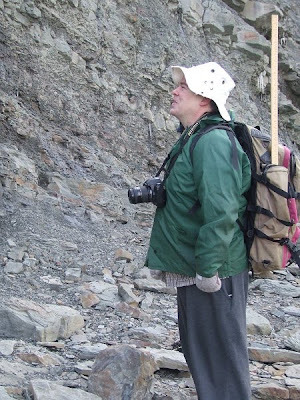 At the time he was studying Burgess Shale fossils and his expertise was much appreciated. He earned the nickname "Saint" Andrew because he was kind to, and patient with, most creationists. Many of us weren't. Andrew was also interested in "Polystrate" Tree Fossils because creationists often used them as "proofs" that evolution is wrong. Here's Andrew extracting a fossil tree from the Joggin Fossil Site in Nova Scotia (Canada). He looked a bit younger when I last saw him in Toronto in 1998. Jeffrey Shallit is making a heroic sacrifice. He's attending a series of lectures on God and Reason. This is a legitimate dichotomy, either you believe in God or you accept reason. You can't do both. Unfortunately for Jeff, he is being subjected to a bunch of lectures from real Professors on how to rationalize belief in God with being reasonable. The latest was a lecture on God and Reason - Lecture 3 - John North - The Problem of Pain. 1. Assume (withou any evidence) that god(s) exist. 2. Assume (without evidence) that your favorite god is good and wouldn't allow pain. This is an example of Christian reasoning? Jeff, you have my sympathies ... and thanks for reporting on the best that sophisticated theology has to offer. Join Us on Friday to Discuss "Thoughts on Science: Evolution versus Intelligent Design (Part I of an indefinite number of parts)"
Rufina Kim has organized the second meeting of her group Thoughts on Science. We will meet on Friday, February 8, 2013 at 5 pm in room 5253 of the Medical Sciences Building on the University of Toronto St. George campus. The meeting is scheduled to end at 7:30 pm. Discussion of the controversies that lie within the question "How did organisms on earth come to be?" Ideally, an equal number of evolutionary biologists and creationists will attend. All are welcome, even spectators. When I open a page of Darwin I immediately sense that I have been ushered into the presence of a great mind. ... When I read Phillip Johnson, I feel that I have been ushered into the presence of a lawyer. Richard Dawkins (1996)Please join us. The last meeting [What Is Science? - Still No Answer!] was a lot of fun. Here's a list of some topics we could discuss. If you can only read one then choose Creationism Continuum because it helps if you understand the meaning of "creationism." How Do Intelligent Design Creationists Define "Creationism"? Will the Real IDiot Please Stand up? And here, for no particular reason, is a quote from George Orwell. The power of holding two contradictory beliefs in one's mind simultaneously, and accepting both of them... To tell deliberate lies while genuinely believing in them, to forget any fact that has become inconvenient, and then, when it becomes necessary again, to draw it back from oblivion for just as long as it is needed, to deny the existence of objective reality and all the while to take account of the reality which one denies – all this is indispensably necessary. Even in using the word doublethink it is necessary to exercise doublethink. For by using the word one admits that one is tampering with reality; by a fresh act of doublethink one erases this knowledge; and so on indefinitely, with the lie always one leap ahead of the truth. Beginning yesterday the Canadian penny is being removed from circulation. Everyone is supposed to round off to the nearest nickle. That's means that things that used to cost 16 or 17 cents will now cost 15 cents and things that used to cost 18 or 19 cents will now cost 20 cents. Many of you will remember the "arsenic affair" from a couple of years ago. Here's what I wrote in February 2012 once we knew that the main result of the paper had been disproven by Rosie Redfield. We now know that there was no arsenic in the DNA (Erb et al. 2012, Reeves et al., 2012). The "arsenic affair" began with a NASA press conference on Dec. 2, 2010 announcing that a new species of bacteria had been discovered. The species was named GFAJ-1 (Get Felisa a Job), by the lead author Felisa Wolfe-Simon. GFAJ-1 was grown in a medium that lacked phosphate and contained high concentrations of arsenic. The paper, published that day on the Science website, claimed that arsenic was replacing phosphorus in many of the cell's molecules, including nucleic acids. Like many other scientists, I was very skeptical from day one. The results reported in the press conference just couldn't possibly be true unless everything we knew about chemistry and DNA was very wrong. How did this paper ever get published in Science? I was suspicious that the normal peer review process had been skipped in order to get a major discovery into press as soon as possible. Turns out that wasn't true. There were three reviews and they were all glowing. We know this because USA Today has obtained copies of the reviews through the Freedom of Information Act in the USA [Glowing reviews on 'arseniclife' spurred NASA's embrace] [Excerpts for the "asreniclife" investigation file]. Here are excerpts from the three reviews—I've never seen such glowing reviews. The manuscript Wolfe-Simon et al. 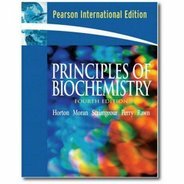 demonstrates for the first time that a microorganism is able to use arsenic in place of phosphorus to sustain growth and life. This was done by using a rather simple initial selection on synthetic growth medium followed by a more in-depth analysis of the isolated organism with regard to the path of arsenic from uptake to incorporation into various cellular fractions using ICP-MS, 73As labeling and X-ray absorption near edge spectroscopy (XANES). The results are exceptional as they show that arsenic, yet believed to be highly toxic for most organisms, in GFAJ-1, a member of the Halomouadaccae, can substitute for the lack of phosphate, a major building block for various macromolecules present in all cells, namely nucleic acids, lipids and proteins. The methods applied are straightforward. The most surprising and acknowledgeable aspect of the work is its simple approach. I have only a few minor points regarding the overall presentation. The manuscript by Wolfe-Simon et al. is well-written, concise, to the point and provides exciting novel results. The authors provide many lines of evidence to prove their point that the isolated novel bacterium (at least to some extent) can replace phosphate by arsenic in its biomolecules. It's a pleasure to get a well-conceived and carried-out study to review. Reviewing this paper was a rare pleasure. It is clearly-written and well-reasoned. The authors choose the right methods, designed the right experiments, obtain solid data supporting the conclusion that GSAJ-1 uses As in place of place of P. They use appropriate caution in interpreting results. I think the paper is just about publishable as is; my comments for revision are below. Great job! I look forward to seeing follow-up work in the future. Looks like we can blame the reviewers, or perhaps the editor for choosing the wrong reviewers. How can you resist this ad from Cult of Dusty? Wiarton Willie says we're going to have an early Spring. None of these groundhog festivals compare to the one in movie starring Bill Murray and Andie MacDowell. It's one of the best movies ever. Wow! That was quick. I just wrote my letter a few hours ago and just posted to my blog at 11am [Why Is Jenny McCarthy Going to Ottawa?]. CTV News is now reporting that Jenny McCarthy Dumped from Bust A Move Ottawa event. Actress Jenny McCarthy has been dumped again. McCarthy won't be in Ottawa for Bust A Move. The Ottawa Regional Cancer Foundation reacted today to a public backlash in signing the anti-vaccine campaigner to the Ottawa breast health fundraiser. McCarthy was to headline a fitness class for the March 2nd fundraiser at the Ottawa Athletic Club. Social media websites exploded with negative reaction to McCarthy's choice for Ottawa's Bust A Move celebrity. McCarthy has been replaced by fitness guru Tommy Europe. Kudos to CFI Canada and Ottawa Skeptics. Well done!!! I've said it before and I'll say it again, biology is messy. It's really hard to rigorously define simple terms because there are always exceptions. Just think of the problems we've had trying to define a gene [What Is a Gene?]. "Mutation"¹ is almost as difficult. First, we want to distinguish between a mutation and DNA damage. DNA damage occurs when various enzymes make a mistake and damage the nucleotides in a DNA molecule. Damage also occurs when outside forces such as X-rays or chemical mutagens attack DNA. Examples are thymidine dimers or cleavage of a base from a nucleotide. DNA can also be broken into two or more pieces. 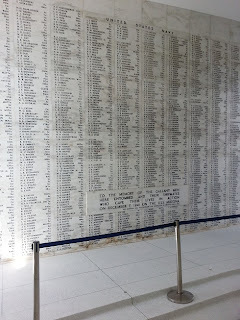 This damage is never copied and passed on to the next generation. Either it is fixed in some way or it is lethal. When the damage is fixed it may end up being identical to the original DNA molecular or it may be altered in some way that is passed on. Thus, mutation is (semi-)permanent change that is heritable. In the example shown here, the damage is deamination of cytosine, a very common spontaneous reaction. It is usually repaired fairly quickly but if the DNA is replicated before repair it will result in a switch from a G/C base pair to an A/T base pair at the same site. This change is inherited in all subsequent generations ... it is a mutation. The genetic material is DNA in most cases but RNA genomes (viruses) can also be mutated. There are many different kinds of "genomes" that have to be covered in our definition. This include virus genomes, mitochondrial genomes, chloroplast genomes, plasmids, and mobile genetic elements (mostly transposons). Any alteration in the sequence of a genome counts as a mutation, not just those that occur in a gene (whatever that is!). 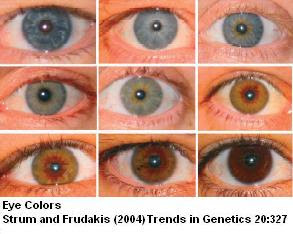 This is important because some of the traditional definitions of mutation are restricted to genes. In genetics, a mutation is a change of the nucleotide sequence of the genome of an organism, virus, or extrachromosomal genetic element. Mutations result from unrepaired damage to DNA or to RNA genomes (typically caused by radiation or chemical mutagens), from errors in the process of replication, or from the insertion or deletion of segments of DNA by mobile genetic elements. Mutations may or may not produce discernable changes in the observable characteristics (phenotype) of an organism. A mutation is a change in DNA, the hereditary material of life. An organism's DNA affects how it looks, how it behaves, and its physiology. So a change in an organism's DNA can cause changes in all aspects of its life. This isn't good because it doesn't cover RNA genomes and it doesn't distinguish between DNA damage and fixed, heritable, change. The Genetic Science Learning Center at the University of Utah offer this definition. A mutation is a permanent change in the DNA sequence of a gene. Mutations in a gene's DNA sequence can alter the amino acid sequence of the protein encoded by the gene. That's no good because it restricts mutations to protein encoding genes. A quick Google search will reveal many other definitions but none as as good as the Wikipedia entry. This is actually better than some of the definitions from scientists. It's main deficiency is that it restricts mutations to genes. 1. 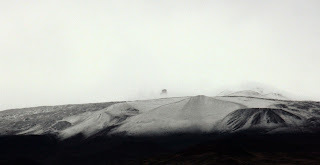 The word comes from the Latin mutare, to change. I've written about the Grandmother Hypothesis before [The Adaptive Value of Menopause] [How Women Got Their Menopause ]. It's an adaptationist just-so story that makes no sense whatsoever as soon as you start thinking critically. But that's not what worries me today. What troubles me is that grandfathers don't seem to figure into these stories. Why is that? Are we completely irrelevant to our children and grandchildren? This month's Carnival of Evolution is hosted by Shuna E.Gould (Lab Rat) at Scientific American blogs [Lab Rat]. 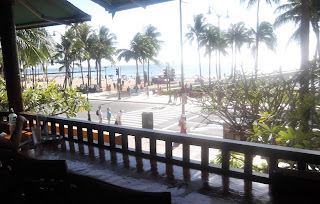 Read it at: The Carnival of Evolution: World Travel Edition! Welcome to the 56th edition of the Carnival of Evolution. I haven’t been on holiday for a while, so for this issue I thought I’d take a trip around the world, looking in on all the exciting research and work being done in the field of evolution. There are some great posts here, from some wonderful bloggers, so go take a look! If you want to host a Carnival of Evolution please contact Bjørn Østman. Bjørn is always looking for someone to host the Carnival of Evolution. He would prefer someone who has not hosted before but repeat hosts are more than welcome right now! Contact him at the Carnival of Evolution blog. You can send articles directly to him or you can submit your articles at Carnival of Evolution although you now have to register to post a submission. 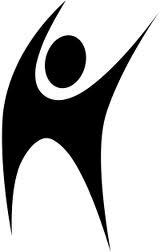 The British Humanist Association has an online quiz called Are You a Humanist?. PZ Myers took the test and discovered that he is only 90% humanist [I think I got an A-]. He's disappointed. So is Veronica Abbas 'cause she only scored 90% as well [Are You a Humanist?]. I scored 93% but I'm angry because this isn't a test for humanism—it's a test to see whether you are an atheist. They are not the same thing. I'm not certain that all humanists share the same values but I am certain that there's a distinct libertarian leaning in many humanist organizations. Since I'm a socialist, I reject that point of view and I could never call myself a humanist. Here's a guest column by Crystal Jurczynski on the American Humanist Association website: Why Humanists Should Vote Libertarian. Although it's a personal opinion it seems to reflect a common perspective shared by most humanist organizations although the libertarian influence was watered down in recent Humanist Manifestos. Humanists and Libertarians share an optimistic vision for an America where people are empowered to make their own life choices, improve their circumstances, and employ peaceful solutions to conflict. These three areas are governed by our social, economic, and foreign policies. Libertarians want government out of our personal lives. So, Libertarians support many humanistic causes, such as abortion rights, gay marriage, medical marijuana, and death-with-dignity. Libertarians are also faithful to the Constitution and reject curtailments of our rights, like the illegal detention of "enemy combatants" and the ironically-named "Patriot Act." Some Humanists, however, take exception to the Libertarian rejection of social programs like Welfare, Social Security, and Medicare. These Humanists should take a hard look at the results produced by these programs. For example, we've spent trillions on poverty programs since the "Great Society" was introduced 40 years ago, but Census Bureau reports show no reduction in poverty rates. The return on the money we are forced to contribute to Social Security and Medicare is much less than can be gained on the free market (and both of these Ponzi schemes will have to be fixed soon or go broke). Without these types of programs devouring our income, we could save more money to support ourselves as well as provide charity to those in need. Humanism is a worldview that goes far beyond just nonbelief in supernatural beings. You won't see much exploration of that worldview in the quiz. Why Is Jenny McCarthy Going to Ottawa? The Ottawa Regional Cancer Foundation raises money to support cancer research and treatment. Here's their Mission Statement. The Ottawa Regional Cancer Foundation is dedicated to increasing cancer survivorship in Eastern Ontario. We unite those who want to be active in the fight for cancer survivorship, drawing on their expertise and resources to fund the gaps between what can be done and what is being done to reduce suffering and death due to cancer in Eastern Ontario. We support cancer care and research to prevent, detect, diagnose and cure cancer. Part of their yearly fundraising effort involves "Bust a Move for Breast Health," a "day-long fitness extravaganza" that usually involves a celebrity fitness person. This year they invited Jenny McCarthy the well-known opponent of child vaccinations. As you might imagine, this move has not been universally praised by rational people. The Ottawa Citizen wrote an interesting piece questioning the wisdom of inviting a quack to an event sponsored by a cancer society [Anti-vaccine crusader Jenny McCarthy to headline Bust a Move Ottawa]. The Center for Inquiry, Canada, and Ottawa Skeptics sent the following letter to the organizers of "Bust a Move." We are greatly disappointed to hear of your decision to select Jenny McCarthy as headliner for the Bust a Move fundraiser this year. As pointed out by the Ottawa Citizen, Ms. McCarthy is well-known for her outspoken support for deeply unscientific and anti-health claims regarding vaccination and autism. As such, she is entirely unsuitable to represent a cancer charity such as the Ottawa Regional Cancer Foundation, and we ask you to please reconsider this unwise invitation. McCarthy has claimed for years that vaccines cause autism, ignoring copious scientific evidence that there is no such connection. She has used her celebrity to spearhead a public campaign to discredit childhood vaccination, a medical advance responsible for saving millions of lives every year. Her celebrity status - which you cite as the reason for your invitation - has helped her to persuade large numbers of parents to leave their children defenceless against potentially lethal illnesses such as measles and whooping cough. The dangers of such reckless misinformation have become increasingly apparent in recent years with the tragically unnecessary resurgence of several of these diseases. McCarthy’s campaign against vaccinations should be of particular concern to the ORCF, for declining vaccination rates have an impact on cancer and cancer survival rates. The HPV vaccine, which shows great promise in reducing the incidence of cervical and other cancers, has met with resistance and disappointingly low uptake rates, in part because of the public distrust of vaccination sown by celebrities such as Jenny McCarthy. Moreover, the reduction in herd immunity caused by wide-scale refusal to vaccinate children poses a very real threat to the survival of immunocompromised cancer patients. By inviting Jenny McCarthy to participate in your fundraiser, you raise her profile within the community, and implicitly give support to her anti-vaccination efforts. Even though she may not mention these views as part of your event, she will gain credibility from association with such a reputable and well-liked charity as the Ottawa Regional Cancer Foundation. At the same time, you bring yourself into disrepute by inviting such a controversial figure to play a prominent part in your campaign. As members of the medical, scientific, and skeptical communities, we cannot help but question the judgement of an organization that would extend such an invitation. It is not too late. You are reported in the Ottawa Citizen to have said that you would be surprised if people were upset by your invitation of Ms McCarthy. This was clearly a miscalculation. We hope that you will recognize the error that you have made and restore public trust in your organization by rescinding this invitation. What can you do? Here's some of the things you can do. I've already written to Linda Eagan. The upcoming fundraising event "Bust a Move", held regionally in Ottawa is planning to host Anti-Vaccination Advocate Jenny McCarthy as a headline speaker. McCarthy's writings have contributed substantially to the belief that Vaccines cause Autism and Cancer. Together with CFI Ottawa, CASS and our allies at Ottawa Skeptics we have released the statement below. 3) Write to Ottawa Cancer CEO Linda Eagen - leagen@ottawacancer.ca and voice your opinion.